Renew September 11 Victim Compensation Funding! 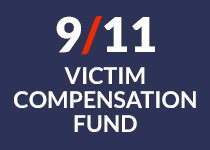 Your help is needed to extend the funding for the September 11 Victim Compensation Fund. The $7.3 billion fund has already paid out over $5 billion to claimants, with an estimated 19,000 additional unpaid claims to address. With the VCF running out of money, pending claims will be paid at only 30-50% of their prior value. Talks with the City about not taxing the uniform allowance have been resurrected.